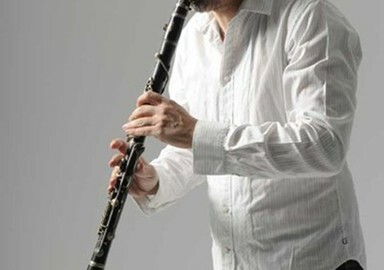 Manos Achalinotopoulos considered by critics, composers and musicologists as the best clarinet performer of the new generation in Greece, was born and grew up in Athens where he lived with his Asia Minor origin parents. He started learning the flute and clarinet from a very early age. Manos Achalinotopoulos has traveled playing clarinet, cawal, shawm and flutes in more than 20 countries all over the world, while participating in concerts and Festivals of great prestige such as the top Jazz festival of Montreux (twice in 1999 and 2002), Sphinx Festival in Belgium, Womad Festival (London, Spain and more), Auckland Festival of the Arts, Jazz Festival of Istanbul, etc. He has collaborated with great Greek and foreign artists such as H. Alexiou, G. Dalaras, D. Galani, El. Arvanitaki, El. Tsaligopoulou, Nana Mouschouri, the most important Greek composers such as M. Theodorakis, D. Savopoulos, Th. Mikroutsikos and foreign composers, soloists and internationally famous singers such as Ara Dinkjian, Goran Bregovic, Arto Tukbojancian, Okay Temiz, Susheela Raman, Arief Darvish, Peter Kovalt, Ch. Mariano, traditional musicians and singers such as PetroLoukas Chalkias, T. Verra, Ch. Aidonides, and others. In August 2004 he interprets with his clarinet, music of the famous Greek composer Mikis Theodorakis in the opening and closing Ceremony of the Olympic Games of Athens. In March 2011, he was one of the main artists at the project of the known composer John Psathas The New Zeimbekiko which was first presented in Auckland, New Zealand. In December of the same year he met the famous clarinet soloist Serkan Cagri on stage at a great concert in Istanbul Concert Hall Cemal Resit Rey). Besides his personal discography Hyacinth (1998), The tradition Clarinet (1996), Live in Amsterdam with Nederland Blazers Ensemble (2003),  Zopirin (2010) and Flight on light (2011) he has participated in over than 1000 recordings. He has also composed music for theatrical plays and cinema movies. 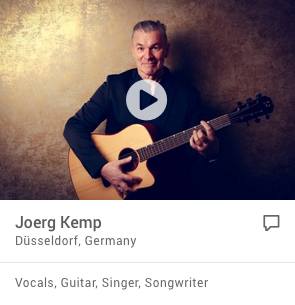 His music will also be part of Lufthansa in-flight entertainment. His first album Hyacinth amazed the audience and critics. The same success came also with the recording with Nederland Blazers Ensemble. In 2010, he released  after a long period of preparation and work - his new personal album Zopirin (2010, Universal Music). In this album, Manos Achalinotopoulos is presenting a cinematographic trip with his clarinet as a lens, passing from places that are personal, real and poetic. The destination is the East hidden in the West and the return to our inner world. Very special participations in Zopirin are Susheela Raman from India, Misirli Ahmet from Turkey, Ara Dinkjian, Sam Mills, Alkinoos Ioannidis, Pavlos Pavlidis and more great Greek musicians. What makes Manos Achalinotopoulos so special is the mixing of the traditional style of playing the clarinet and its special idioms with Jazz, Balkan Ethnic style and influences of the western music. Ecstatic music, the sound of walking on fire and the electric urban sound is the main theme of Zopirin. Seven musicians on stage, along with the clarinet soloist Manos Achalinotopoulos, change roles, sing and keeping the essence of Zopirin, walk on imaginative fire translating the melodic rituals with the symbolic power of music. Repetition, scream, Greek traditional minimal playing, the journey, the road, old class music instruments along with the new electric ones, the multicollective element, ecstatic feelings and the trip to your inner soul are some of Zopirin elements. Zopirin means creating a big flame from a small spark. Zopirin is the sound of fire. Zopirin is the sound of walking on flames. Zopirin is the Zopirin is the electrified sound of the city hidden in the village  nowadays the global village.